Last month we began our quest to answer the question, “What are they thinking?! ?” (“they”, of course, being our children). Recognizing that no behaviour happens by accident and that all behaviour has a purpose, we as parents can use this information to get to the root of our kids’ perplexing, annoying, and even contradictory behaviour. We began last month with the first goal of misbehaviour, attention, and now we move on to the second one, which is power. You probably don’t need me to point out clues to help you recognize when you’re in a power struggle. Fighting and defiance are probably the two biggest clues…as is “No!” Kids are very sensitive to feelings of inequality, and will react to anything they perceive as a command rather than a request. You can also recognize power struggles from your own feelings of being provoked, challenged, threatened, or defeated. Parents often respond to these feelings by fighting, wanting to prove themselves “right”, or just the opposite, by giving in. And you’ll know for sure this is the goal if, in response to you, your kids increase whatever behaviour you have just told them to stop, if they comply but are still defiant in some way, or if they become passively aggressive (doing what you ask him to do, for example, but then whacking his brother as he passes him on the way out the door). All in all, nobody enjoys a power struggle. Power, just like attention, in itself is not bad. We all need to feel some power and control in our lives, and children are no different. So remember, in those heated moments, that it’s not the need for power itself we’re trying to squash. It’s the abuse of power. Sometimes it’s hard for parents to surrender control. We have the gifts of perspective and experience, and it can be difficult to watch our kids make mistakes and perhaps suffer needlessly, when we know what they need to do to avoid the problem in the first place. The truth is, though, they aren’t really suffering needlessly, because their setbacks are all part of their learning curve. We can’t expect them to really absorb the lessons we are sharing if there isn’t the emotional connection that comes with occasionally experiencing (appropriately) adverse consequences. So the first question we should ask ourselves when we realize we’re in a power struggle is, “Who owns this problem?” Because if we don’t actually own the problem, we can step back – and out of the power struggle – with a clear conscience. When you first recognize that you’re in a power struggle, withdraw from the situation, take some time to cool down, and give yourself the opportunity to reflect on how you want to handle it. A great way of eliminating power struggles is to admit to your child in the moment that you can’t make her do anything, but that you would like her help in finding a solution you can both live with. Decide what you will do, not what you will make others do. Saying, “I will serve dinner once the table has been set,” avoids a power struggle much more effectively than, “Get down here and set the table this instant!” Use kindness and firmness to tell your kids what you will do, and avoid nagging and lectures. Your actions are a lot harder to tune out than your words. Using family meetings to address chronic hot buttons and inviting your kids to participate in creating routines (which then become the “boss” instead of you) can all help to avoid power struggles. If every member of your family has an opportunity to participate and provide input, it’s much easier to gain cooperation. Offer limited choices – ones you can live with either way – so that everyone gets the opportunity to practice making decisions and living with the consequences. 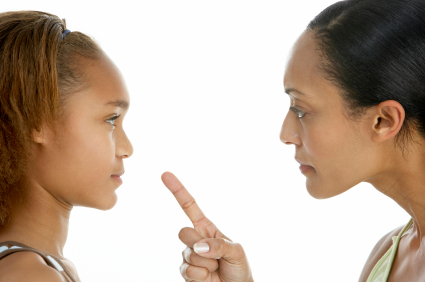 And of course, spending quality one-on-one time with each of your kids is critical for avoiding power struggles. When kids feel empowered and included, their need for excessive power goes way down. Sometimes even our careful attention to the goals of power and attention aren’t enough to curb undesirable behaviour. So next month, we’ll talk about the next goal, revenge.